What currency rate is to be used for conversion to AED? In order to convert foreign currency to AED values for reporting purpose, it is required to use the currency rate on the date of supply. The listed foreign currency rates against AED (Arab Emirates Dirham) are published by the Central Bank of UAE only for the calculation of the VAT obligation of UAE business entities to the UAE Federal Tax Authority as per the requirement of Union Law No. 8 on Value Added Tax. 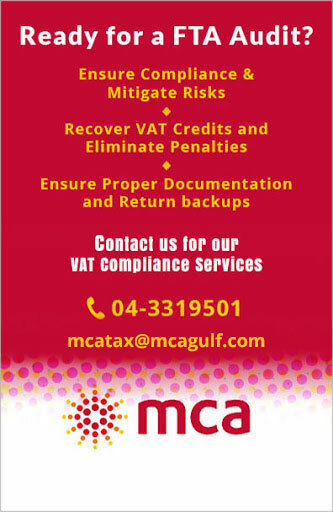 Who are the registered tax agents for UAE? What is to be included in a Tax Return? the payable tax (or repayable) for the tax period. How long should we keep accounting records? Accounting records are to be kept in a format that enables the Authority to verify that person’s tax obligations, for a period of five years after the end of the tax period. The Taxable Person shall keep the following records: Records of all supplies and imports of goods and services; all Tax Invoices and Tax Credit Notes, or alternative documents related to receiving goods or services; all Tax Invoices and Tax Credit Notes, or alternative documents issued; records of goods and services that have been disposed of or used for matters not related to business, showing taxes paid for these goods and services. All businesses must retain accounting and business records, the FTA noted, which include the balance sheet, profit and loss account, payroll accounts, fixed assets records and. 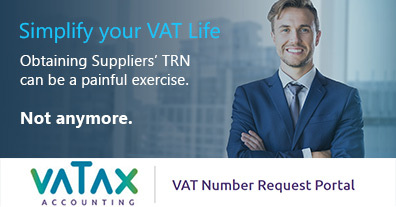 How to verify supplier TRN? Enter the TRN number provided to you, and then enter the security code. You will get the result as the Company name in English and Arabic. The Ministry of Finance in the Executive Regulation for the Federal Decree Law No. 8 of 2017 Value Added Tax has laid down the guidelines for the preparation of a TAX INVOICE and a SIMPLIFIED TAX INVOICE. As per the law the definition of a Tax invoice is: A written or electronic document in which the occurrence of a Taxable Supply is recorded with details pertaining to it. The words “Tax Invoice” clearly displayed on the invoice. 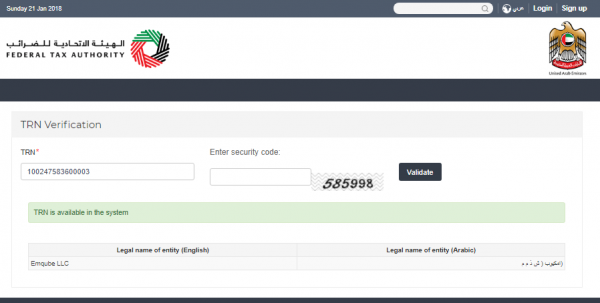 The name, address, and Tax Registration Number of the Registrant making the supply. A sequential Tax Invoice number or a unique number which enables identification of the Tax and the order of the Tax Invoice in any sequence of invoices. The date of issuing the Tax Invoice. The date of supply if different from the date the Tax Invoice was issued. 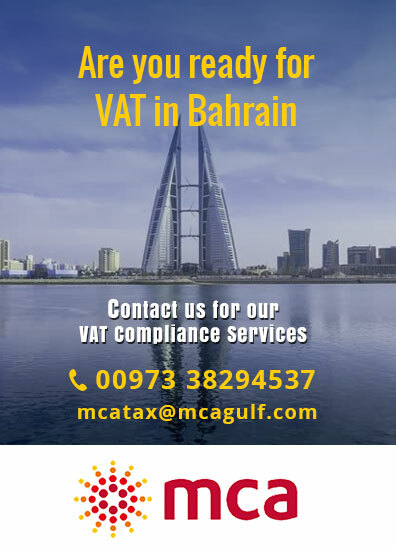 For each Good or Service, the unit price, the quantity or volume supplied, the rate of Tax and the amount payable expressed in AED. The amount of any discount offered. The Tax amount payable expressed in AED together with the rate of exchange applied where currency is converted from a currency other than the UAE dirham. Where the invoice relates to a supply under which the Recipient of Goods or Recipient of Service required to account for Tax, a statement that the Recipient is required to account for Tax, and ato the relevant provision of the Decree-Law. The total Consideration and the Tax amount charged.